On this day, creepy Christmas geeks (not to be confused with creepy Warhammer geeks... we are cooler!) remember that today is the 44th anniversary of the 1st airing of Dr. Seuss' "How the Grinch Stole Christmas" on CBS. History nerds know that today, on 1620, the Mayflower passengers come ashore at Plymouth Harbor... ruining a very nice neighborhood forever. Me? I just know (thanks to the forum's reminder) that today is your Birthday!!! The fact that your expulsion from your mother's womb coincides with U.S.S.R. performing a nuclear test at Semipalitinsk, Eastern Kazakhstan U.S.S.R... well, it should have been taken as a warning for the rest of the world. Thank you for being part and I hope you have a GREAT birthday! animated and sociable, with a little wild side that leads him to a life on the edge... being either incredibly lucky or ridiculously unlucky. Nom, nom, nom... enjoy your cake! Sorry for the cake... we had the one below ready, until we realized that it was NOT cake... but the cook! 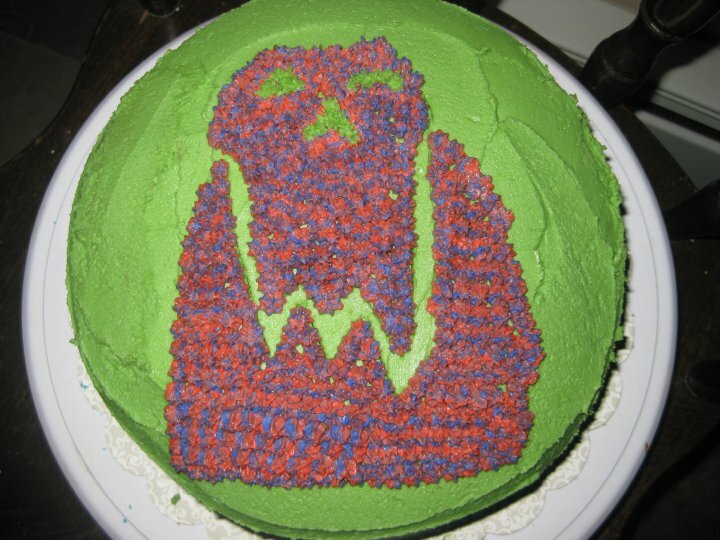 Happy Birthday Utan and thanks for the orky inspiration! ...IT"S PARTY YOUR PETOOTIE OFF TIME! Wow! what a post Mordheimer! Thanks Boyz! I appreciate the sentiments. Perhaps the Grinch's debut on my birthday inspired my fondness for green nasties! 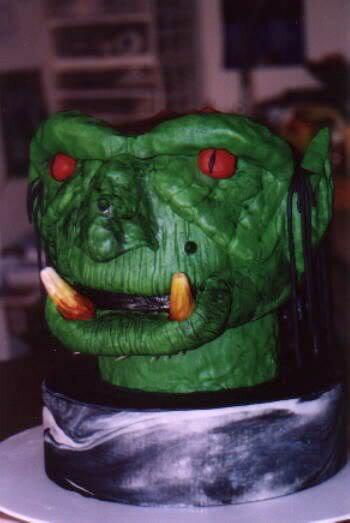 Gotta luv you some Ork-cake conversions. Ever since da dok found that nurgling sitting on my kidney, I find I have a greater appreciation for the little things. So, thanks for welcoming me here and the birthday greetings. 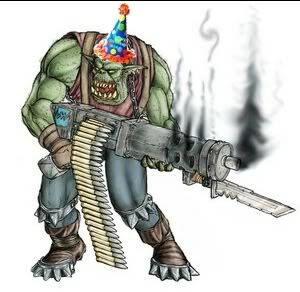 Happy (belated) Birthday, WARBOSS Utan! Sorry I missed it! My bad... I was distracted. Anyway, hope you had a WONDERFUL time with your wonderful family! Subject: Re: Happy Birthday, Utan!! !